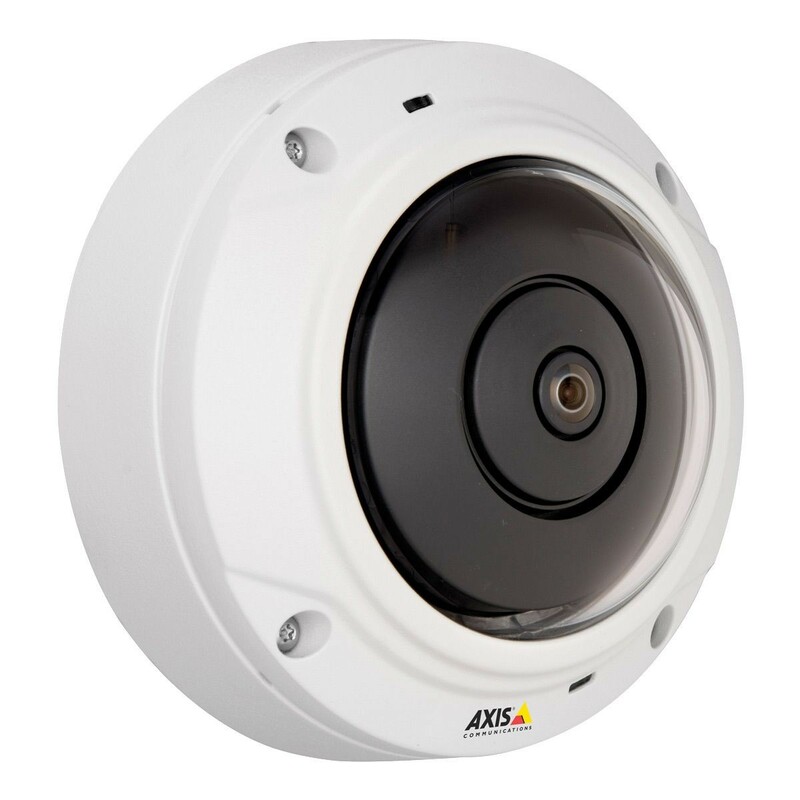 Compact, day/night fixed mini dome in a vandal-resistant casing for outdoor or indoor installation, offering 360°/180° panoramic views as well as quad and digital PTZ views. Multiple, individually configurable H.264 and Motion JPEG streams in up to 5MP resolution at 12 fps. Memory card slot for optional local video storage. 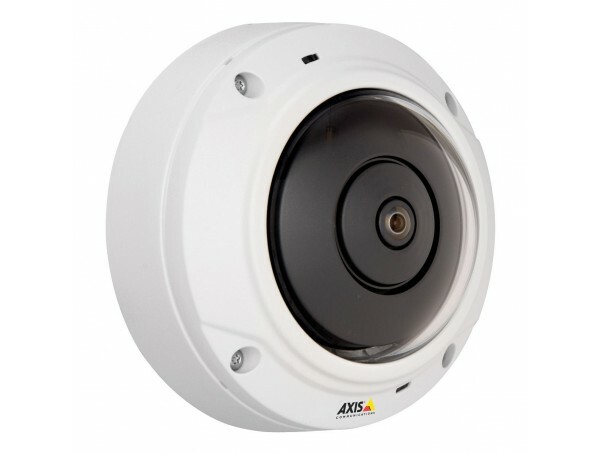 Video motion detection, active tampering alarm and I/O for alarm/event handling. Comes with a 2 m (6.6 ft.) cable with a male RJ-45 network connector and is powered using Power over Ethernet. Midspan not included.